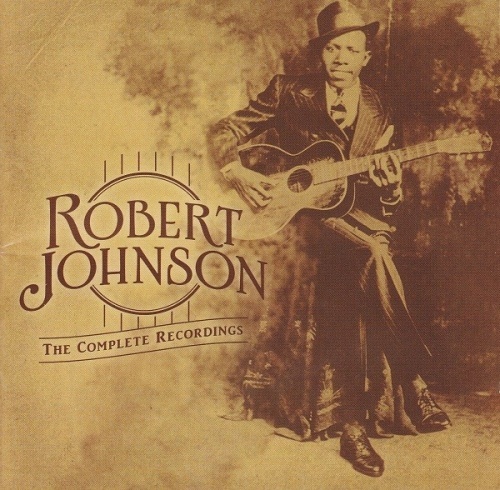 In practical terms, there’s not much need for Robert Johnson’s The Complete Recordings: The Centennial Collection. There are no undiscovered master or alternate takes, new remastering can only improve the original acetates and 78s so much, and apart from the sequencing of alternate takes after the masters, a debatable merit for listenability, the original 1990 box set The Complete Recordings did everything right. So, The Centennial Collection exists to celebrate Johnson’s 100th birthday, and to offer improved sequencing and sound, both of which are evident on the double-disc set that provides the foundation for this entire reissue project. As strong as this compilation is, what’s really noteworthy in this centennial celebration is the box set designed for the very wealthy among us, a handsome, lavish fetish object for collectors coming complete with a hardcover book containing 45-rpm replicas of the original 78-rpm singles; a double disc of Johnson’s originals; a double disc of Rarities from the Vault that places Johnson into the context of his times by offering a disc of blues cut between 1928-1932 and a disc of Texas country, folk, and Mexican music; and then a DVD documentary of Johnson’s legacy. Naturally, this luxurious item is more attractive and interesting than its bare-bones companion, but it doesn’t necessarily offer greater musical insight than its slimmer cousin. Johnson’s legacy can fit onto a mere two discs, so the rest of the set is essentially well-dressed extras, with the two CDs of contemporary blues, country, and folk offering a nice sampling of Johnson’s peers even if they’re by no means extensive. And when you spring for a set of this magnitude, what matters isn’t the content so much as the presentation -- and in that regard, the four-disc set is impeccable.